Funerals need not be as expensive as many of us have been led to believe. The National Funeral Directors Association (NFDA) surveyed the average cost of a funeral at $7,485 in 2017, and this is without any cemetery fees included. For many families today spending close to $8,000 on funeral expenses is not always affordable. Therefore, if you need to arrange a more affordable cremation service in Evansville, this guide should help you understand how to save on your funeral expenses. How much can I expect to pay for a funeral service in Evansville? The cost of a funeral can vary quite significantly. This will depend upon the type of funeral service you opt for and the funeral service provider you select. If you do any research with local funeral homes you will discover that the price for a funeral package will vary from different providers, even for the exact same services! Whilst the NFDA can quote the average cost of a funeral at $7,485, it is possible to arrange a funeral for considerably less than this. How much does a direct cremation cost in Evansville? The average price for a direct cremation in Evansville is $2,525*, again depending on the type of cremation service chosen. A full-service cremation costs more than a simple direct cremation. A simple, direct cremation package price of $975 is offered by DFS Memorials. How do I select a funeral services provider? If you have no prior experience with a funeral services provider this can seem an overwhelming task. Consult with friends and associates and seek recommendations. If you are using the Internet to research funeral services and prices in Evansville, be sure to check the ownership of who you are dealing with. Some funeral companies have set up online budget cremation businesses, and some corporate groups also trade as low-cost cremation companies. If you are in doubt, ask if they are independently-owned. DFS Memorials only work with a reputable, licensed and independently-owned funeral home. How can I save money when arranging a funeral or cremation? These days many of us are concerned about having the necessary funds to conduct funeral services for a loved one if no provision was made. Let’s face it…not many folks can just produce thousands of dollars at the drop of a hat! There are ways that you can ensure you keep your funeral expenses to a minimum. Generally a cremation will work out less expensive than a burial, namely as no immediate cemetery fees are required for a cremation. Opting for cremation means that there is no need for a casket, burial vault or cemetery plot. And eliminating these costs alone can save you several thousand dollars. A direct cremation is where the deceased is cremated but no services or ceremony is held. Minimal services are offered by the funeral director to collect the deceased, prepare the body for cremation, and process all the required paperwork. 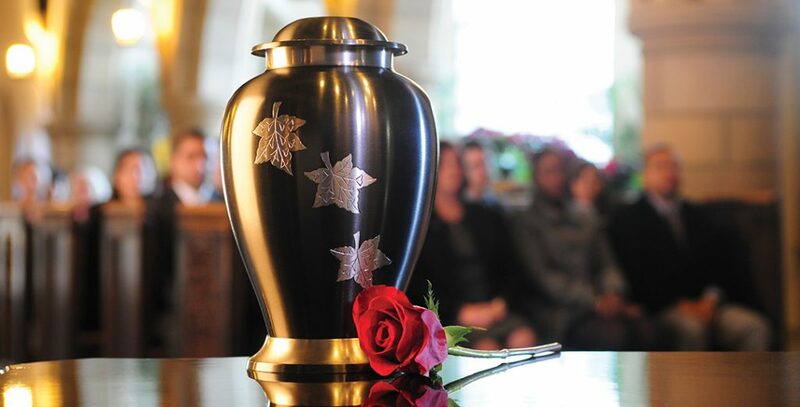 The deceased is cremated in a simple cremation container and the remains are made available for the family to collect or have delivered to them. No funeral home visit is required for a direct cremation service. In many cases the funeral director will visit you at home to sign the paperwork and consult with you about arrangements. Direct cremation is becoming very popular as a way in which the funeral home can assist in the immediate disposition of the deceased for an affordable fee, but leaves the family with the opportunity to conduct their own memorial ceremony once they have the cremated remains back. Once you have the cremated remains returned, the family can hold a memorial service at a place and a time that suits family and friends. This means that there is no immediate need to make plans for a funeral service at the time of a passing. It is also another significant way that money can be saved on the funeral expenses, by conducting a memorial service on your own terms. You can inter cremated remains into a grave plot or niche at a cemetery, keep a cremation urn at home, or scatter the remains in a place of your choosing. Today there are many options for how we can memorialize a lost loved one and there are now a range of cremation artifacts that can be created to help us immortalize the memory of a loved one, from bird baths made with concrete infused with cremation ashes to memorial diamonds! Other folks are choosing to scatter ashes in a memorable place for a loved one’s last resting place. Read this section on Ash Scattering for more ideas. What if the deceased is at the Medical Examiners? If the deceased is at the Medical Examiner’s office, you need to appoint a funeral director to arrange the release of the body into their care. Only a licensed funeral director can collect a body from the county morgue. What if the deceased had no life insurance? There is also a $255 lump-sum social security death benefit payment for those that qualify. Your funeral director will assist you in claiming this. We hope this short guide has answered some of your questions about how to save on funeral costs and will help you arrange a simple cremation at an affordable price. If you have any further questions about arranging a cremation in Evansville, please call your DFS Memorials provider on (812) 213-2009. This entry was posted in Cheap Cremation, Cheap Funerals, Finding a crematory or cremation provider, Funeral Planning, How to Save Money on Funerals, Medical Examiner and tagged affordable funeral, basic cremation, cheapest cremation, cremation costs, cremation plan, direct cremation, funerals costs, help with cremation by Nicole Pelling. Bookmark the permalink.